Check out the Latest Episode from AFTCO’s Bass Boot Camp! Bass Boot Camp 2019 recruit Matt Pangrac captures his tournament event at the Costa FLW series on Lake Amistad. After a tough Day 1, Matt re-evaluates his approach in an attempt to put a decent bag in the boat, and cut a check. 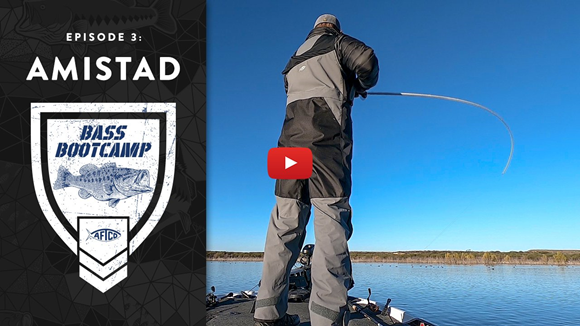 See how it all pans out in this episode of AFTCO Bass Boot Camp 2019. Making it as a professional bass angler is a battle. Many have dreams of making it to the highest level, but the time, work, travel, costs and determination involved can be a huge hurdle to breaking through. It’s a grind 24-7 / 365, plain and simple. Many up-and-coming anglers juggle full time jobs and a wide range of side gigs to help fuel their passion. 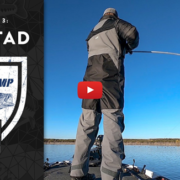 Watch Matt’s journey in the 2019 season through AFTCO’s Bass Boot Camp YouTube serieswhere he will document it all to see what it takes to live the life on the road as an aspiring tournament professional. Make sure you follow @aftcofreshwater on Instagram and hit the YouTube subscribe button so you don’t miss a single video. https://www.collegiatebasschampionship.com/wp-content/uploads/2019/02/AFTCO_BBC_EP-3.png 326 580 Shelley https://www.collegiatebasschampionship.com/wp-content/uploads/2018/11/2019-Bass-Pro-Shops-Collegiate-Bass-Fishing-Series-Association-of-Collegiate-Anglers-Boat-US-2-300x179.png Shelley2019-02-04 13:52:032019-02-04 13:54:41Check out the Latest Episode from AFTCO's Bass Boot Camp!